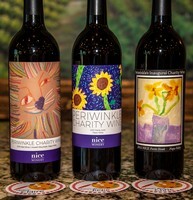 Don't forget - Nice Wine Club members receive 20% off event tickets! We would love to welcome you at one one of our upcoming events! If you are interested in a private event, please visit the link to the left of this page. Have you ever wondered how winemakers determine the varietal percentages we blend to make an iconic wine? Join Nice Winery and Master Sommelier, Joseph Spellman, to learn about the characteristics each varietal brings to the blend of JUSTIN Isosceles. This is a hands-on class where you will have the opportunity to make your own blends and try to match the expert’s blend of JUSTIN. This is a rare, once in a lifetime opportunity to taste wines with one of the best palates in the world, JUSTIN's Master Sommelier Joseph Spellman. Joe is only the second American to have won the prestigious title "Best Sommelier in the world in French Wine and Spirits", and in 1990 he was named the Bon Appétit Wine and Spirits Professional of the year. Specialty meats and cheeses will be served. 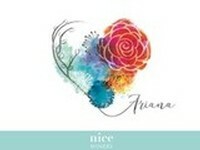 Join us for a very special evening to be wined and dined by Nice Winery and special guest, Chef Pablo Ranea. Pablo, who is one of our dear friends, travels the world to create one of a kind pop-up dinners, highlighting the aromas, tastes and textures of Argentinian and Latin American cuisine. Enjoy five spectacular courses paired with Nice Winery's award-winning wines. Meet and greet starts at 6:00 PM, and 1st course will be served at 6:30 PM. We only have 34 seats available. Reserve your ticket now, this event will sell out! We are honored to welcome Nickel & Nickel President, Bruce Mooers, as he guides us through a very special tasting of new release wines from the Far Niente and Nickel & Nickel family. Join us for the rare opportunity to taste their acclaimed wines! Chef Ian will be serving delicious light bites to pair with this fantastic lineup of wines. This event sold out in record time last year - get your tickets ASAP! 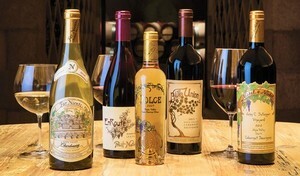 Due to the high demand of our Far Niente/Nickel & Nickel event on June 13th, we are offering a seated tasting of these highly acclaimed wines on Friday, June 14th at 6:00 PM. Ryan will lead a private tasting through the exact same selection of Far Niente's new releases. This tasting will be a fantastic opportunity to enjoy their single-vineyard wines and to learn one-on-one in an intimate setting. A selection of specialty meats and cheeses will be served. Spaces are limited. Only 34 seats available. Join our winemakers, Ryan Levy and Ian Eastveld, for a 7 night cruise along the Danube River from Hungary to Austria to Germany. The cruise, hosted by AmaWaterways aboard the AmaSonata, will begin in Budapest, Hungary with stops in Vienna, Krems, Weissenkirchen, Linz, and Passau before ending in Vilshofen. Passengers will enjoy a choice of spacious staterooms; gourmet dining with free-flowing fine wines at multiple onboard dining venues; a heated sun deck swimming pool with a 'swim up' bar; fitness center and spa; complimentary ship-wide Wi-Fi and in-room Internet; and a fleet of bicycles carried onboard for passengers to enjoy on their own or on guided bike tours. For more information, contact Ralph Piazzo; (281)-343-1946 or ralph@piazzotravel.com.